WAIST HIGH: John Taylor To Publish His Autobiography. John Taylor To Publish His Autobiography. 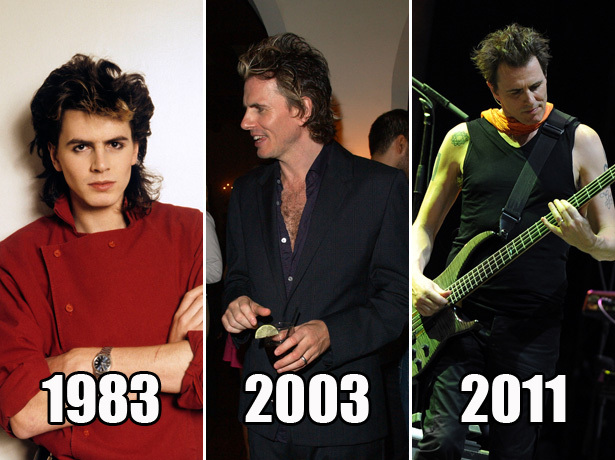 From duranduran.com: An icon to millions, John Taylor co-founded Duran Duran in 1978 when he was just eighteen years old. Almost immediately, the band became an international pop phenomenon, defining a new genre of music and the start of an extraordinary three decade career that continues to this day, with sales of more than 80 million records, chart-topping hits around the world, and a global presence that guarantees the band huge live audiences across five continents. In his autobiography, Taylor will give a candid and captivating account of his life, from a reserved young man in the suburbs of provincial England, to the heights of global fame and adulation. He will unflinchingly explore how the glories of excess led to drug addiction and a descent into despair and loneliness, as well as the difficult process of recovery, and the joy of rediscovering the love of family and friends. For the global army of "Duranie" fans, his book will also contain fascinating behind-the-scenes insights and stories about the band's inner workings and life in the spotlight. John Taylor: "This book recounts the million tiny seductions that are required to make the journey from English suburbia to selling out Madison Square Garden—seductions that go by a hundred different names; family, friendship, romances, collaborations and strategic alliances. Here is my journey and where it took me; into fantastic success, more than a little decadence, darkness, and finally, I like to think, a little enlightenment." (In the U.K.): Little, Brown and Sphere are delighted to announce the acquisition of a major new project – the autobiography of Duran Duran co-founder and bassist John Taylor. Little, Brown's Editor-in-Chief Antonia Hodgson acquired UK and Commonwealth rights (excluding Canada) at auction from Jonathan Conway of Mulcahy Conway Associates. John Taylor will write the book himself with support from co-writer, Tom Sykes. Sphere plans to publish in hardback in autumn 2012, alongside Penguin US. Antonia Hodgson says: "We're so excited about this project. John Taylor is a warm, witty and engaging writer with an incredible story to tell. His book will be an honest and frank account of his life – good times and bad. It will also capture all the joy and glamour and craziness of being in Duran Duran – surely one of the greatest and best-loved bands of all time." (In the U.S.): Brian Tart, president and publisher of Dutton, announced today the acquisition of Duran Duran bassist and founding member John Taylor's autobiography, to be released in the fall of 2012. Executive Editor Carrie Thornton bought North American and Canadian rights at auction in a major deal from Jonathan Conway of Mulcahy Conway Associates Ltd. Carrie Thornton says: "I'm incredibly excited to publish John Taylor's memoir. I've been a Duran Duran fan since I was first riveted by the video for 'Rio' on MTV. As someone who came of age in the 1980s, I can think of no better person to tell the story of the biggest band of that era, and to describe the excesses of that decade—the fashion, the drugs, the money, and of course, the music. John has a great tale to tell, and he tells it with honesty and intelligence, and with an absolutely great voice on the page."